It turns out cute toys might not be the only things spying on you. You better think twice before you hang your coat on these unassuming wall hooks, thinking you’re alone in your hotel room. Someone might very well be watching and recording your every single move. While the plain-looking hooks might not be the first thing you spot in a room, they will certainly spot you. Equipped with a microphone and an HD cam, these coat hangers are actually full-fledged covert recording devices. In addition to shooting video in 1280×960 resolution at up to 30 frames per second, the gadget also comes with a microSD card slot for up to 16GB of storage. 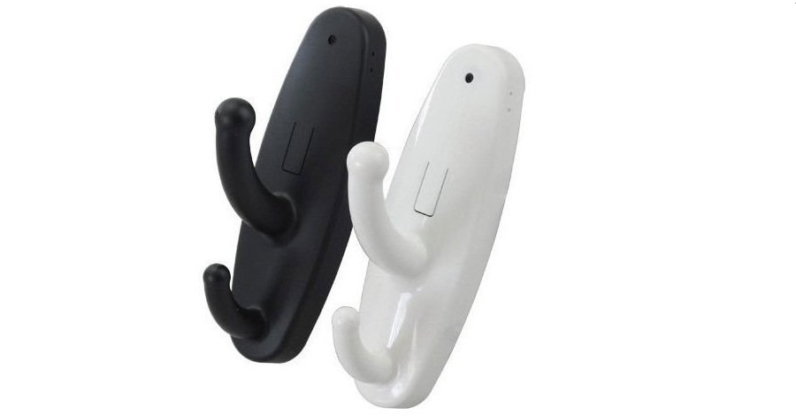 But the worst part is how widely available the spying wall hooks are. The Daily Dot was able to find units selling for as low as a measly $13 on Amazon. The good thing, however, is that an overwhelming number of Amazon customers claim they were never able to get the cameras to record anything – so things might not be as bad as they sound after all. Still, you better keep an eye out if you come across one of these – I know I would.